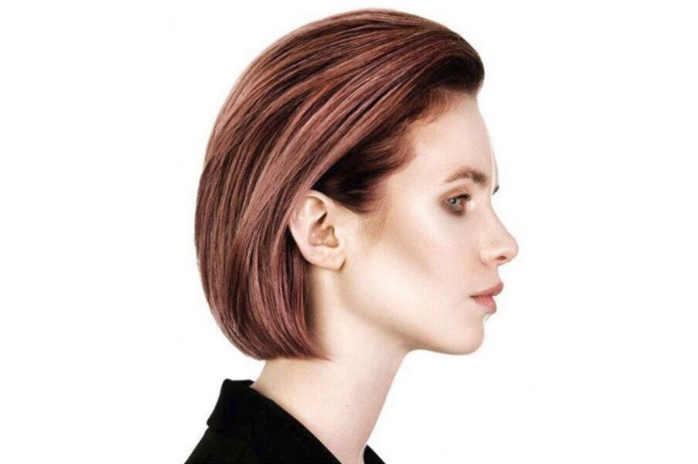 We don’t know if it’s the colder weather, but we’re seeing a big interest in gorgeous copper, brunette and other warm hair colour tones. We can understand why – coppers, reds and russets can look simply stunning. They suit a variety of hair types and lengths and there’s a broad range of styles and colour palettes to choose from. If you need to inject a bit of warmth into your appearance, here are some ideas. 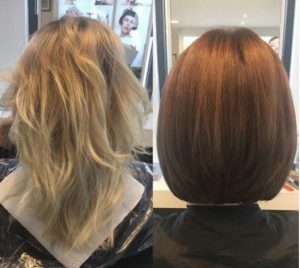 Here we used Koleston Perfect on the roots, pre-lightened a few weaves with FreeLights 9% and then toned at the backwash with Colour Touch. It creates a wonderful rich colour tone and depth in this balayage which our client was delighted with. 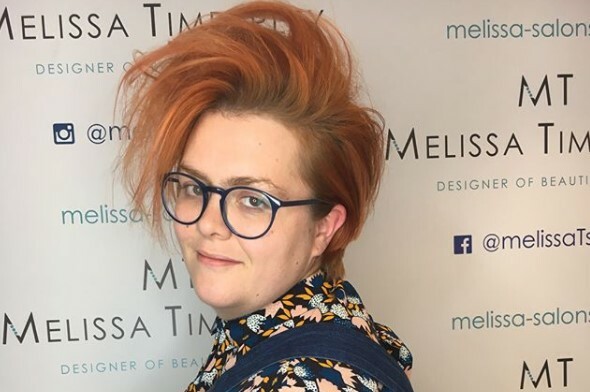 A number of styles in our CLASSICS Collection for our show at HJ LIVE North at the end of last year drew on the striking effect a copper palette can bring to a hairstyle. We’ve also helped clients completely transform their hair colour over. 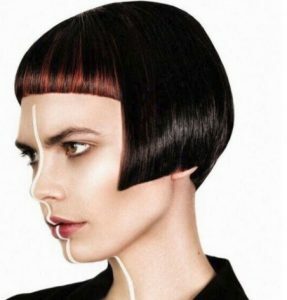 Lighter tones and highlights can add warmth to dark hair and give added shine, texture and depth. 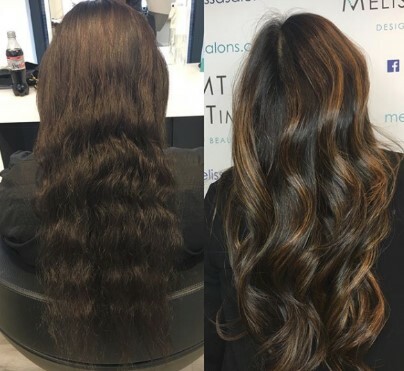 This balayage and use of freelights by Sara created a luxurious and sumptuous look for our client. 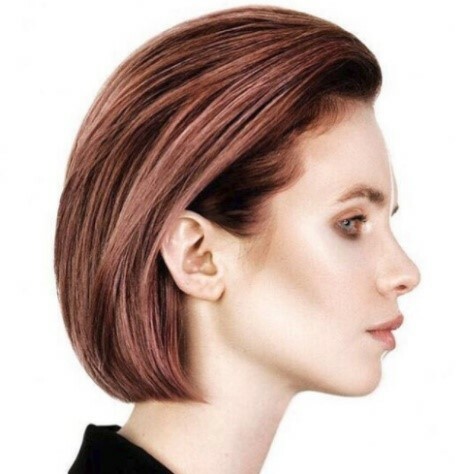 When thinking of a copper, red or brunette colour in your hairstyle it’s important to check it will work well with your facial tone and colouration. You don’t want it giving you a washed-out look. Our team of talented stylists will always start with an initial consultation to check which colours will work best for you – not just in terms of your facial tones and hair type, but also your wardrobe colour preferences too. You probably don’t want a new hair colour to mean a new wardrobe (or perhaps you do and need an excuse?!). 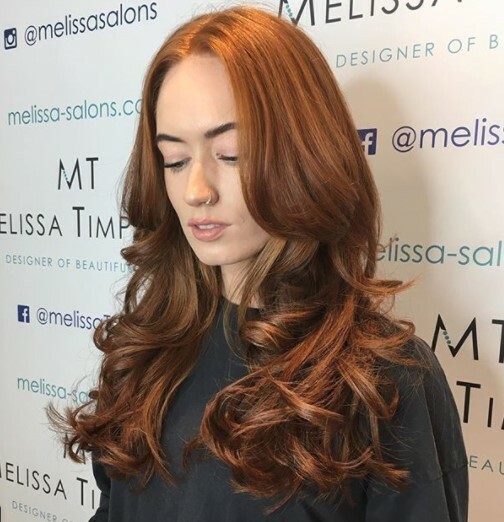 Rest assured we only use products which time and again deliver gorgeous hair. 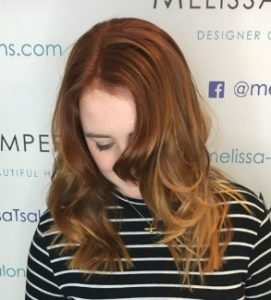 So you can be sure that with us the colour will last and your hair won’t suffer from harsh colouring treatments. In fact time and again clients say they can’t get over how amazing their hair feels (not just looks) after a trip to our Salon.